It was a joy to be featured on one of the best podcasts coming out of the Philippines. Mike Grogan is the cool host of the fabulous podcast called The Best of You. Mike also started his Primed journey the day of the podcast with his amazing results to be shared soon. Listen here: 45 minutes or by clicking on the heading above. You can also download from itunes by following this link here. This way you can enjoy the podcast while exercising, shopping, cooking or on your commute to or from work. From Mike Grogan: “Getting fit” and “losing weight” are very popular New Year’s resolutions. Unfortunately, these vows are also the ones that are most commonly broken. If you are struggling to be the “best of you” physically, Chad Davis can help. 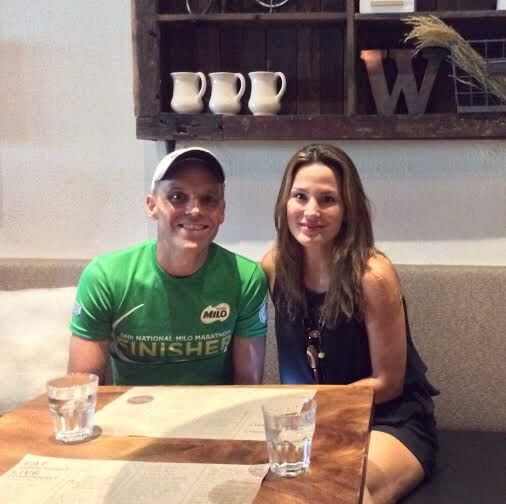 A wellness coach and triathlete, Chad shares tips for achieving a healthy lifestyle in his blog, www.PrimedForYourLife.com. Originally from Australia, Chad and his wife Natasha brought their kids to the Philippines over a decade ago to get a taste of the international life – and decided to stay. Chad’s fitness advocacy dovetails nicely with his career in the local hospitality industry, working with companies such as Shangri-La (Makati and EDSA) and Enderun Colleges. Listen to his inteview and find out how you too can be Primed so you can live longer and healthier. Other great podcasts that Mike has done for The Best of You include with Human Nature founder Anna Meloto-Wilk and with my Aussie mate Peter Wallace. I confess that as a four time Ironman and many time marathoner I enjoy doing these extreme activities. I enjoy the training, the camaraderie involved with my fellow competitors and especially the feeling as I cross the finish line. I also enjoy reliving the memories and using that for mental strength when times get tough. I know that this type of activity is not for everyone and it is not necessary to be so extreme to be happy and healthy. Indeed, doing these activities sometimes leads to burnout and damage to your health if you push yourself too hard (using pain killing drugs) and train too much. 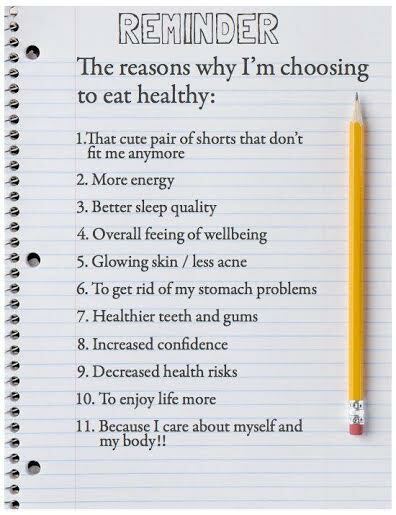 To be fit and healthy a lot of people believe that exercise is just 20% of the equation. Nutrition (the 4th discipline of triathlon) is around 80%. Sleep, sunshine, your state of mind and stress are also important factors in your health. Training for an Ironman can involve a lot of training and dedication which does take up a lot of your time. I have successfully completed my past 2 Ironman events on less than 10 hours training per week so you do not have to train excessively to finish. The excessive time spent training could well be time you could have spent with your family, reading a good book, relaxing with friends or working on improving your mind and body more effectively. 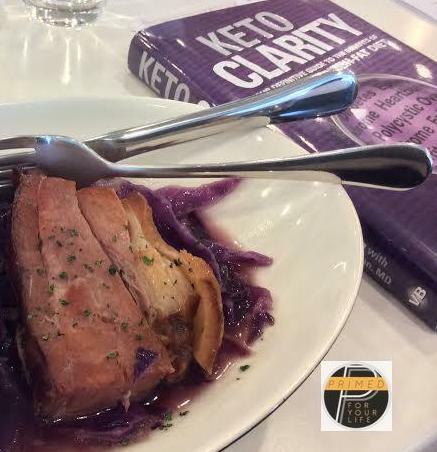 Some great books to read include Keto Clarity by Jimmy Moore and Dr. Eric Westman, Wheat Belly by Dr. William Davis and Grain Brain by David Perlmutter M.D. Dreams do come true. Ever since creating the Primed for your Life Lifestyle in late 2013/early 2014 I dreamed about being on That Paleo Show podcast. 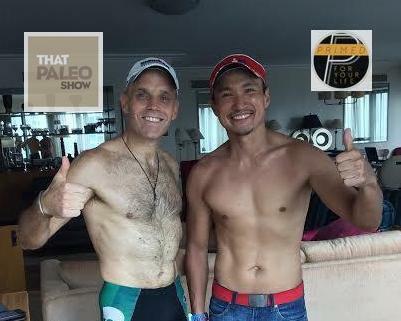 The reason is because That Paleo Show was instrumental in getting me from being a “fatish”, unhealthy triathlete/person into a healthier one. I will be forever grateful for the passionate, real food advocates who enlightened me on how to optimally nourish my mind and body. It then inspired me to follow in their footsteps and share my knowledge so as to help even more people. Please listen to Primed for your Life being featured on That Paleo Show #121 with Chad Davis and Reujen Lista talking about the Primed Lifestyle. Reujen and I loved doing the podcast with Dr. Brett Hill, Steve Hayter and Sarah Stewart. We had a blast and hope you have a laugh and also learn a bit as well.